I wrote these reviews before the birth of this blog. I have lately become obsessed with this husband and wife team. I'm sure you've heard about, and perhaps read, the Snowmen books, especially if you live in Utah. But I have loved everything we've read by them. 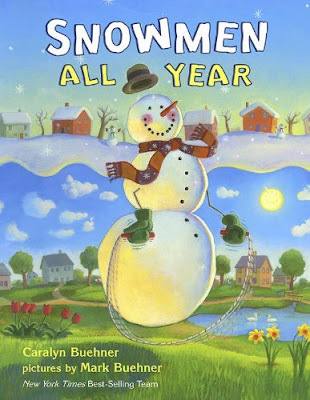 Snowmen All Year is their newest book. And it is especially fun for us because a couple of the illustrations bear striking resemblances (not by coincidence, I'm sure) to places here in the Salt Lake area (the lion drinking fountain at the zoo and the fireworks over Sugarhouse Park). I love Mark Buehner's illustrations; they just look happy, and they're so full of light. Plus, at least in the Snowmen books, there are lots of hidden pictures...dinosaurs in the clouds, cats in the trees, etc. 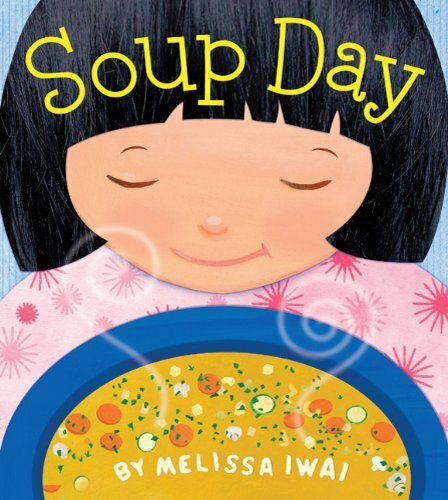 We like this book for two reasons: first, there's something about soup that just make long, cold, dreary winter days seem just a bit more bearable (for me, anyway...I can't speak for Aaron since he doesn't care much for soup). Second, Aaron loves to cook, so a book that goes through the whole process, from shopping for ingredients to eating the finished product, is sure to be a favorite (even if it is something as disgusting as soup). Since I usually rave about the illustrations, I will say that the illustrations are not the reason this book made it to our favorites list. I don't know enough about art to use any terms, but the reason I don't like them is because they throw in one real-looking object per page. (maybe even a photograph? I can't tell.) So, for example, when they sit down to eat the soup, everything just looks like a normal drawing except for the plate of saltine crackers. It's just weird to me. If the realistic elements were just left out, I wouldn't have a problem with the illustrations at all. Given Aaron's ongoing monster obsession, this book should really come as no surprise. 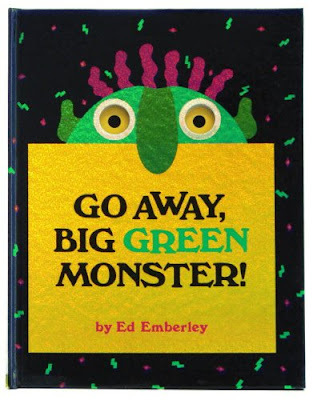 However, even if you are not a monster-lover, you might enjoy a look through this favorite. It gets points for creativity. The book begins with just the monster's yellow eyes. Gradually, his mouth, hair, ears, etc. are added, all with cut-out shapes. Midway through the book, the reader shouts (yes, you must shout), "But you don't scare me, Big Green Monster!" and then commands all the same body parts to disappear until the reader says (I mean, shouts), "And don't come back!...until I say so." 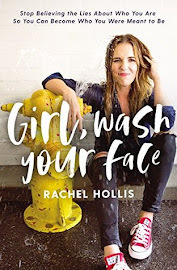 This is honestly one of those books that I look at the cover of, and I read the title, and I think, "Really? This is going on the favorites list?" But it is, and lest those same thoughts just barely ran through your head, I'll tell you why. And don't judge a book by its cover...or its title. A couple of months ago, I got to thinking about all my musical education and how I wasn't doing a very good job of passing it down to my young son. 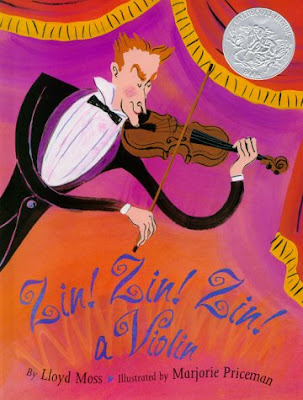 So in an attempt to remedy my oversight, I tried to find some picture books about instruments. 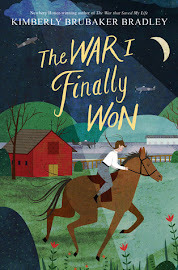 Sadly, farm animals and tractors and monsters all seem to take a front seat to instruments, so all my searching produced, I believe, only four books that were age appropriate. This one happened to be our favorite, but it was also the first one we read, and Aaron was entranced by the instruments, probably because of my amazing demonstrations of said instruments. Within just a few readings, Aaron knew a french horn from a trombone, and now watches the whole of Music and the Spoken Word each Sunday morning just so he can watch for the harp and the trumpet and hopefully, if he's lucky, catch a glimpse of the beloved conductor. Success! 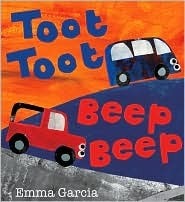 This simple book features a different vehicle on every page accompanied by the sound it makes. The illustrations are primitive and blocky, colorful and bright. 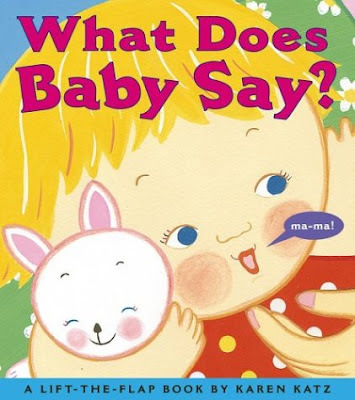 This is one of those books that both Aaron and Maxwell can enjoy because there's not a lot of text on each page, but there are still things for Aaron to point out and comment on. For Max, it encourages fun noises and there's not a lot on the page for him to be distracted by. 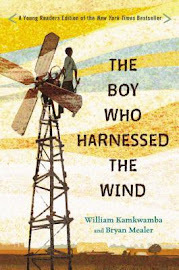 It is a great read-aloud. This is one of those books that I couldn't even make it past the first page without being madly in love with it. It is a wordless picture book, and the illustrations are imaginative and GORGEOUS: the drops of rain, the conniving look on the little boy's face, the textured hair of the little black girl...I feel like I could look at this book every day for forever. 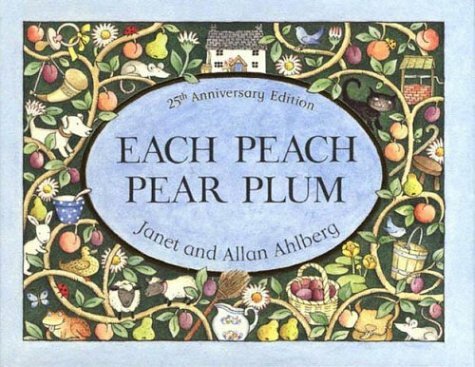 Um, Caldecott, what were you (or weren't you) THINKING?! 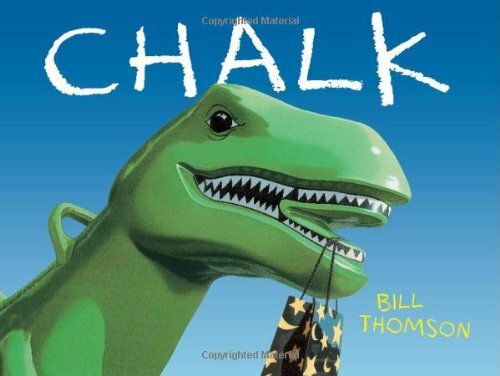 Besides the illustrations, the wordless story is captivating, especially if you are two years old: three children find a bag of chalk, and everything they draw comes to life. It's all sunshine and butterflies (literally) until the little boy decides to draw a dinosaur. Aaron loves this book. We had used up all of our chalk from last summer, but after reading this, he begged to get more. So, on a windy, and not too warm day, we went out to the front sidewalk with our newly purchased chalk. And what do you think was the first thing Aaron drew? A green dinosaur (if you used a lot of imagination). And pretty soon, his dinosaur was chasing me all around the yard. So will this book be a part of our home library someday? Um, yes, it's stashed away in my closet right now. It's just so fun to see Max finally loving books as much as Aaron. And really, there's nothing cuter than that adorable boy toddling over carrying a book almost as big as himself. Renee - thanks so much for commenting! It's so, so fun to hear from other moms with similar tastes. I'm excited to peruse your website as well. It looks fabulous!